Preheat oven to 400 degrees F. Lightly oil large rimmed baking sheet. In large bowl, mix bread crumbs, egg, sherry, parsley, paprika, garlic and pepper. Add ground pork and mix thoroughly but gently with your hands. Using about 1 tablespoon of the meat mixture for each, shape into 40 meatballs. Stuff an olive in the center of each meatball then completely enclose olive. Arrange meatballs on baking sheet. Bake meatballs for 15 minutes. Turn meatballs over, and continue baking until cooked through and browned, about 10 minutes. 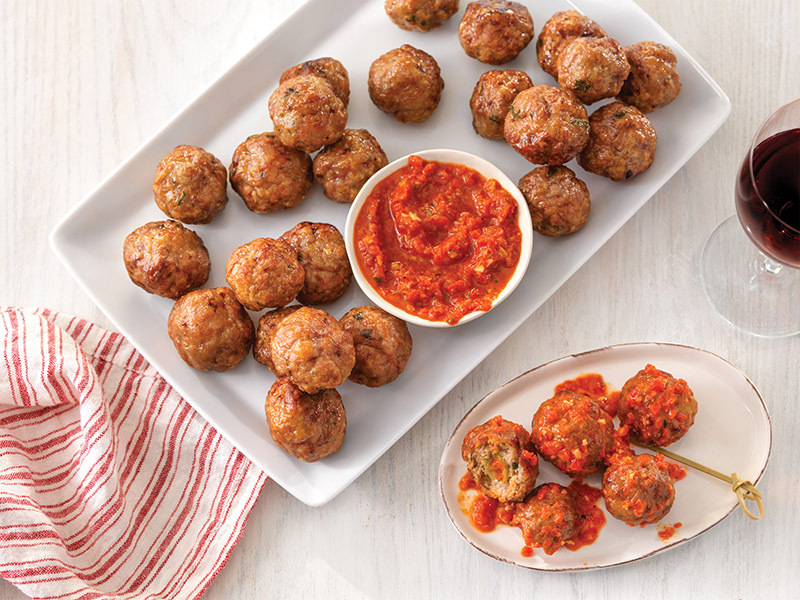 Transfer meatballs to serving platter. Spear with toothpicks and serve hot with romesco sauce for dipping.